Konami recently announced that Yu-Gi-Oh! Legacy of the Duelist is available on PC via Steam. The game will also include new content, which will be available for the existing PlayStation 4, and Xbox One versions as well. The game is centered on an elite dueling program that simulates the best duels from every era of Yu-Gi-Oh!. Players can replay significant events in the Yu-Gi-Oh! timeline, from the original Yu-Gi-Oh! series up to Yu-Gi-Oh! ARC-V, featuring storylines, characters, and decks in a brand-new story campaign. In addition, there will be nine new sets of add-on content that include other storylines from Yu-Gi-Oh! related media. Each set includes a single-player story duel, two complete decks played by the characters in the duel, and a character avatar. These sets will also be available for the PlayStation 4 and Xbox One, where the game was released previously. Yu-Gi-Oh! 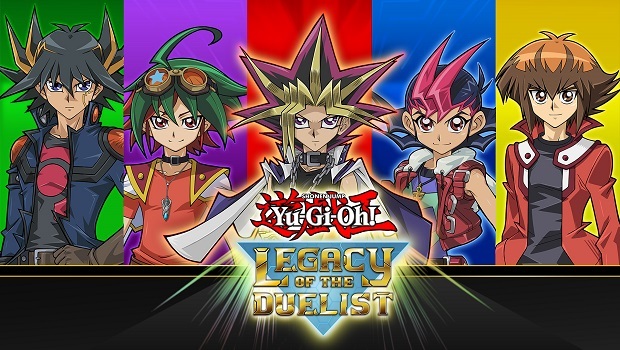 Legacy of the Duelist is available now on Steam for $19.99, with add-ons available for $4.99 each.